Growing Roses In Containers adds great summer color to your patio year after year. Learn how to grow roses and taking care of them in pots. Growing roses in pots is easier than you might think. Learn all about pruning and fertilizing your roses in containers. There is no great mystery in learning how to grow roses. They respond well to extra care and attention but, basically, anyone can have success with roses. All roses should be planted in a position where they can have a minimum of four hours of sunlight each day from spring to autumn. Growing roses in pots or containers has the enormous advantage that they can be moved through the seasons to catch the sun. 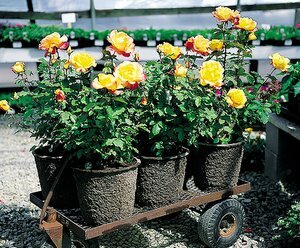 Container roses should be planted in pots containing a good all purpose compost with a small cupful of bonemeal added. A large bush rose needs a pot of at least a 25 litre capacity although you can grow miniature roses in quite small pots. Flower Carpet Rose Coral at our front door....performing there for years already! Choose the right pot for growing roses in containers. Depth is more important when choosing a rose pot than width. Rose bushes have a deep root so choose a pot that is deep. Shallow bowls are not a good choice for roses. When you are ready to plant your rose, take it out of its existing pot and soak its base in a bucket of water for about half an hour. Have your container filled with only about two-thirds of the compost. 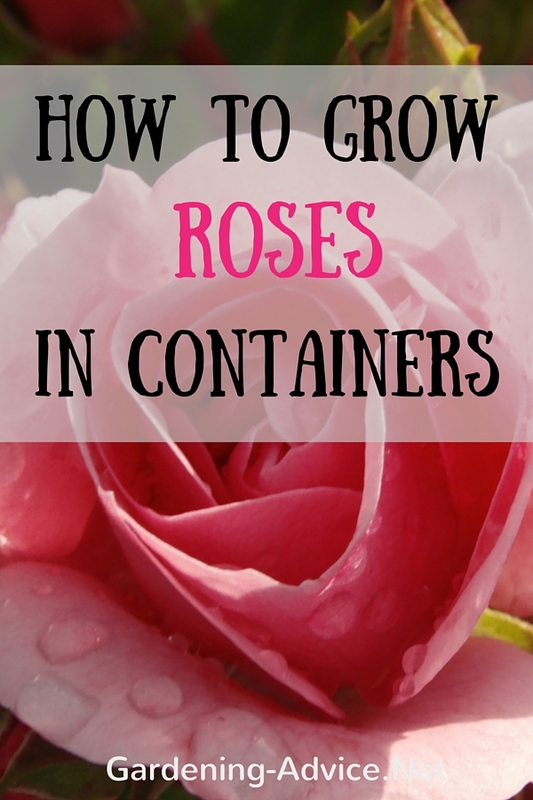 Place the rose in the new container, trying to spread out the roots a little and fill in the rest of the compost so that the bases of the stems of the rose are covered to a depth of about three inches. Water it well in. 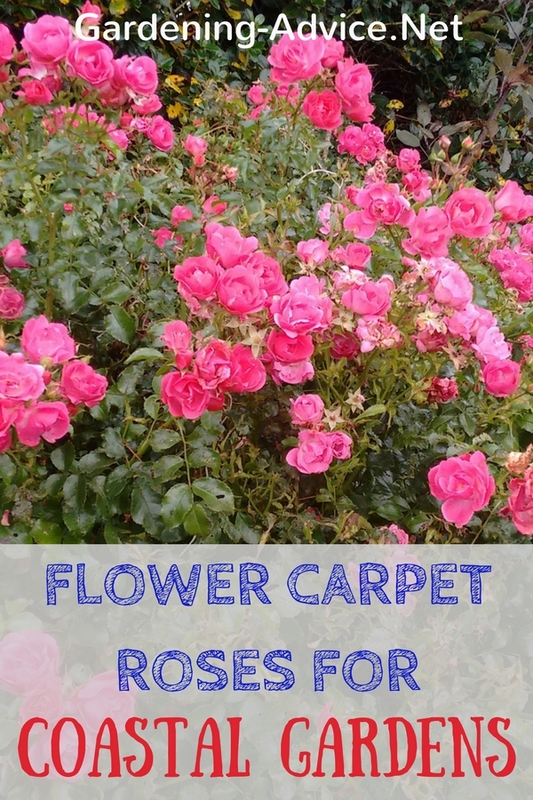 For fertilising your roses it might be the easiest to use an organic rose fertilizer several times during the growing season. 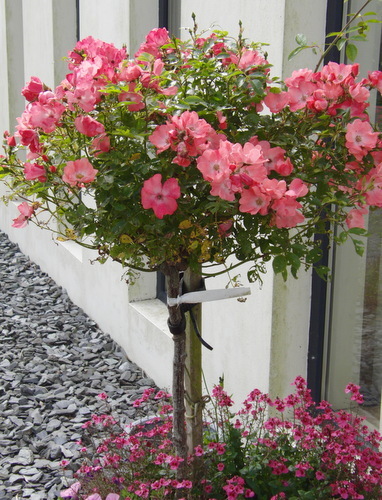 There are several of these on the market, some of which are specifically designed for roses. To do this just remove the top layer of potting soil. This is best done in the spring before the new growth starts. Remove as much as you can without damaging the roots. Then mix the appropriate amount of fertilizer with fresh potting soil. Fill up the pot with this mixture and water it in. All you have to do now is to water regularly. Liquid Feed: Alternatively you can use a liquid organic rose fertilizer that you mix into the water. Use it according to the instructions on the pack. A rose in a container depends entirely on us to provide it with water and feeding and will not do well unless it is watered regularly, which may mean every day in a dry summer. Pruning Roses: To keep your rose bush flowering throughout the summer it is very important that you dead-head finished flowers. 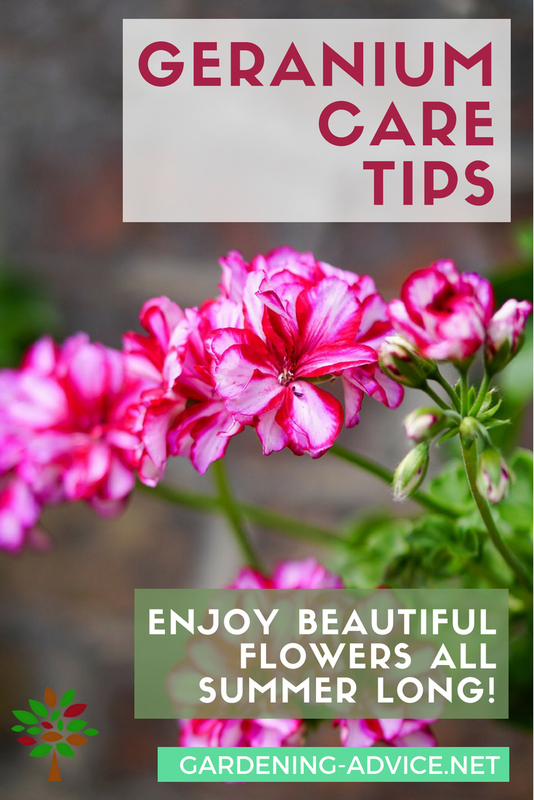 Use a good pair of secateurs to remove the old flower head including some of the stem. 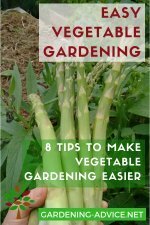 You should cut away at least two leaves with the old flower. Before the winter I tend to cut off all the old flower stems and move the pot to a sheltered spot. If you live in a very cold area it might be a good idea to cover the rose bush with some fir branches or horticultural fleece to protect them from frost damage. In the spring when you see the buds swelling it is time to prepare your rose for the new season. Prune the rose bush back and remove thin and sick looking branches at the base. You can be quite ruthless and cut the plant back hard. 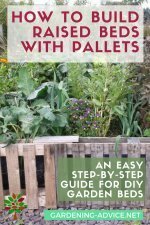 This will encourage new shoots that will be able to produce a lot of flowers during the summer. Look up this page on how to prune roses. 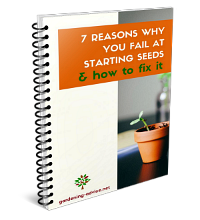 You can unfortunately have the same problems with growing roses in containers than with growing roses in the ground. The most common rose diseases are blackspot and mildew. I always try to avoid the use of manmade chemicals to treat pests and diseases. In my opinion only roses with a good natural disease resistance should be grown. This is half the battle so choose wisely. 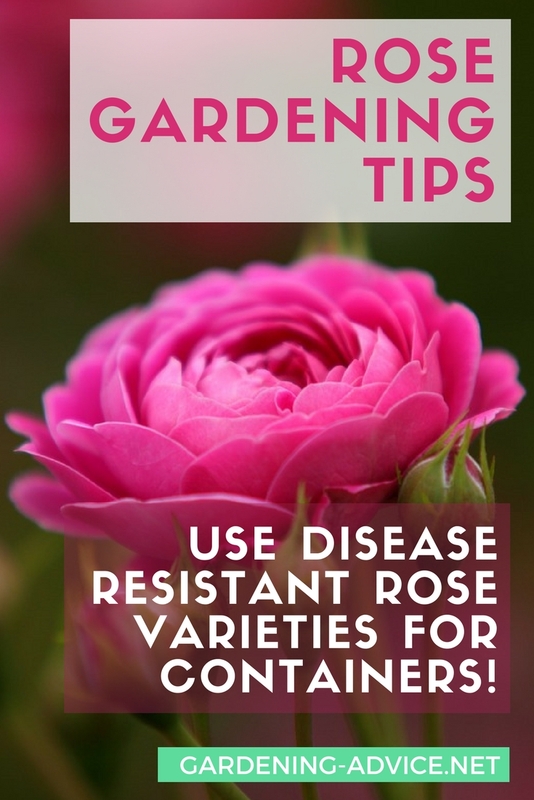 Choose a disease resistant rose for your pot. 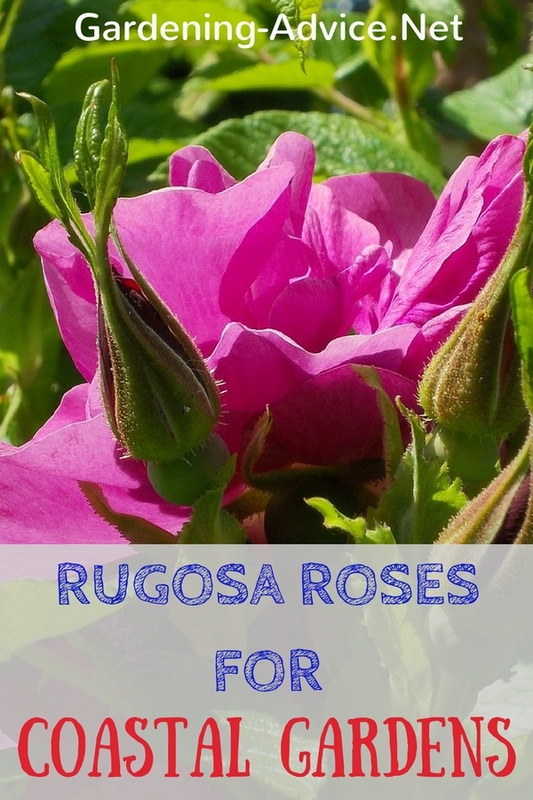 They are much more enjoyable and trouble free than rose varieties that tend to get mildew and balckspot. Greenflies are a very common problem when you are growing roses in containers. In my experience they come and they go. I don't get too excited about them. If they are really bad I use a spray with fatty acids or soapy water. Organic pest control methods are very useful for getting rid of those creatures. Vine weevils can become a problem when taking care of roses in pots. The larvae of the weevils are chewing on the roots during the winter months and can destroy your rose bush. 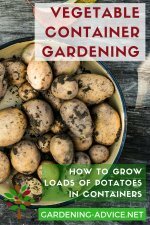 To prevent this problem you can use a potting mix with a special ingredient. An organic method against vine weevil larvae are nematodes that you can order from specialist suppliers. 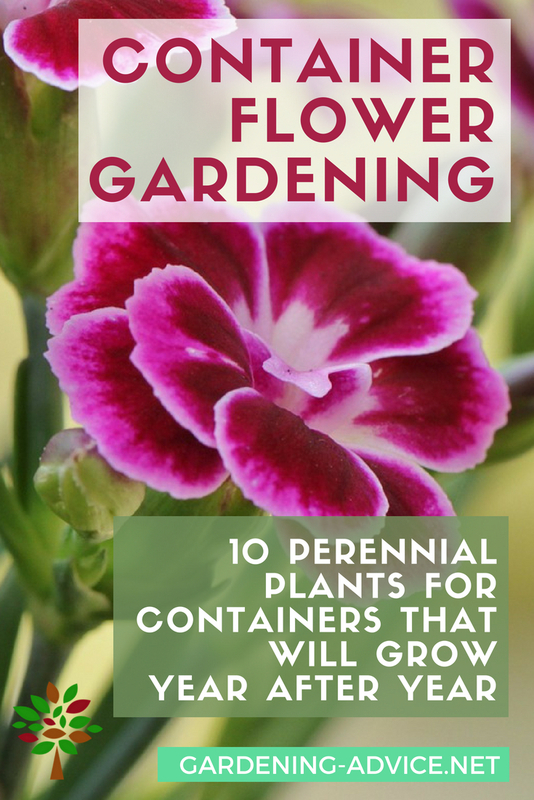 They have to be watered into the soil and will kill the larvae in the ground.